This morning we will board our local pilot at 0545 before transitting the narrow strait between Denmark on our starboard side and Sweden on our port side. Once clear we will continue south towards Copenhagen. We will make our final approach at 0715 and enter through the breakwater before maneuvering alongside our berth. We anticipate being alongside our berth by 0800. Once everyone is back onboard we will let go our lines, thrust off the berth and proceed out of the harbor and retrace our courses north, passing through the narrow strait and disembarking our pilot at 1910. Once the pilot has disembarked we will continue north up Kattegat towards the coast of Norway. The words “let me tell you a story” have been described as the four most seductive words in the English language. 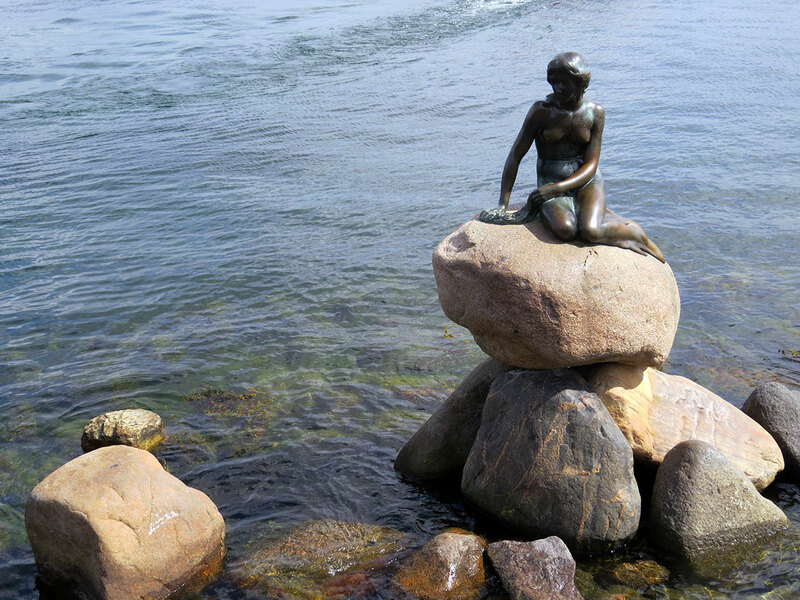 Today we are in the home town of Hans Christian Anderson, a legend in the history of storytelling. We saw a statue cast in tribute to his story “The Little Mermaid” and eventually saw a statue of Hans himself. The Little Mermaid faces the land but looks over her shoulder at the sea she left behind. Later in the day we visited Trivoli, an amusement park in the heart of Copenhagen. We were told Walt Disney visited this place not once but three times, gathering ideas to employ for his first theme park. We can see the familiar successful formula at work here, but after so much time there is no way to tell whether Trivoli is still an original or has been inspired in turn by the success of Disneyland. 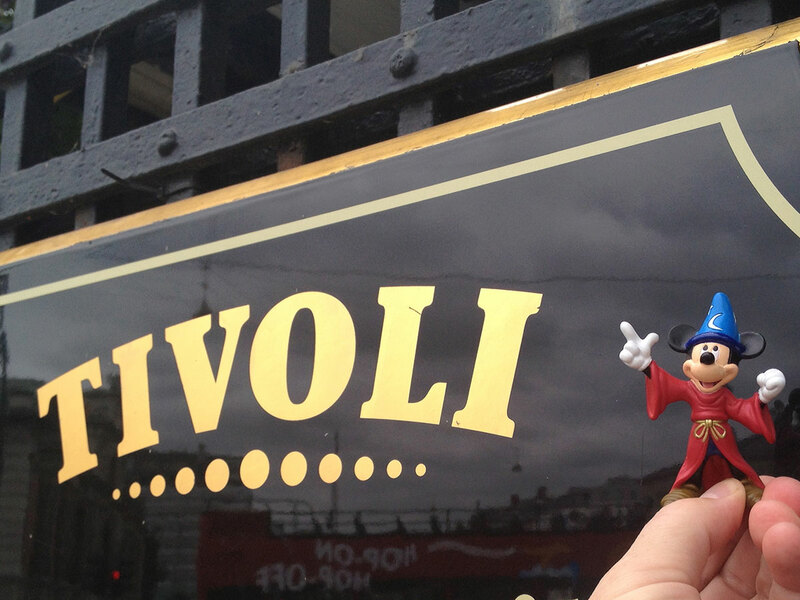 Mickey visits the site of his roots in the heart of a city famous for its colorful storytellers.